A Dietitian is an expert in nutrition. Dietitians provide treatment, education and support to people requiring nutrition information and advice relating to medical and surgical treatments and management of chronic diseases (such as diabetes and high blood pressure). A Dietitian applies scientific knowledge about food and nutrition to individuals and groups to promote optimal health outcomes. What is the difference between a Dietitian and a Nutritionist? Dietitians are uniquely qualified in clinical nutrition and so can manage the nutritional care of people in disease as well as health, in a variety of health settings. Dietitians are also nutritionists; nutritionists have extra postgraduate training. 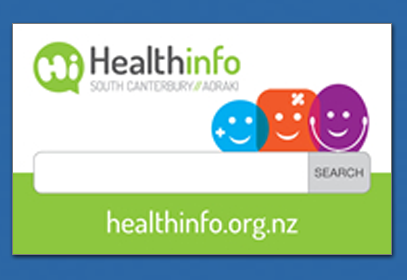 Dietetics is part of South Canterbury District Health Board's Allied Health Service. Dietitians work in a wide variety of clinical settings which include inpatient and outpatient services, and community and mental health services. The Dietetic Service also provides an advisory role for the South Canterbury DHB Food Service. The Community Dietitian offers a free service by referral for people 16 years and over to improve nutrition. Referrals can be made via a GP or Practice Nurse or other primary health providers. Self referrals will not be accepted. You can access our services by referral from your GP. Helen Sharples, Registered Dietitian - Clinical Leader Dietetics.